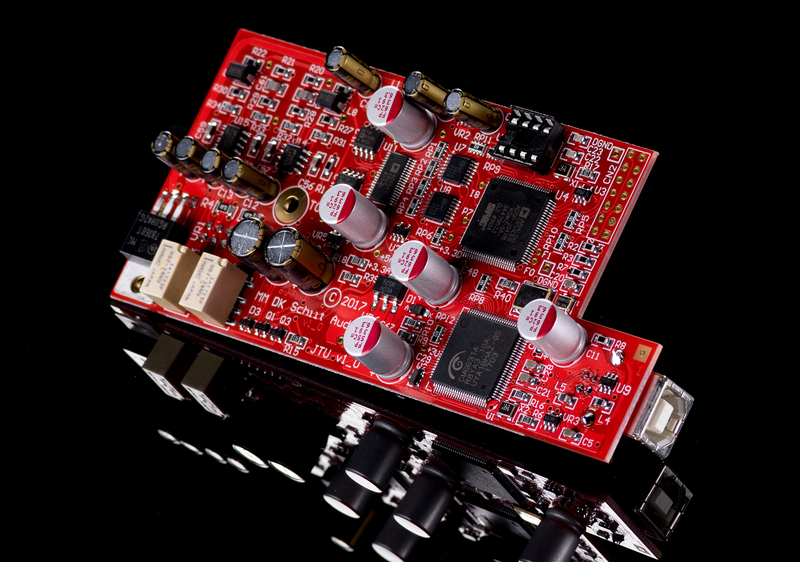 This module adds a Multibit DAC to any Jotunheim or Lyr 3. It features the same Analog Devices AD5547 D/A converter and our own time- and frequency-optimized digital filter on an Analog Devices SHARC DSP as Bifrost Multibit and Modi Multibit, so it's a great way to get Multibit performance in a single desktop-friendly component. Schiit can install the card for you, with a convenient scheduling system that allows you to keep your product until we’re ready to turn it around immediately. Just place your order, and follow the steps in the series of emails. You’ll be notified when your order is accepted, when to send in your product, when the work is performed, and when it’s shipped back to you, for complete transparency. If you’re an experienced electronics technician or engineer who is familiar with ESD precautions, or work with a good tech, you can choose to have the Multibit DAC card sent to you directly, fully tested and protected in an antistatic bag. Schiit upgrades are covered by a 2-year warranty or the balance of the original factory warranty, whichever is greater. For out-of-warranty products, having Schiit install the card re-activates the warranty on the complete product for 2 years. One caveat: Schiit may refuse to do upgrades on heavily modified products. Schiit installed upgrades cannot be returned. For self-installed upgrades, you can return the card in its original packaging, in undamaged and operational condition, in 15 days for a refund, minus 15% reinspection and restocking fee.